Jason Mitchell Outdoors reviews and promotes its sponsor and partner products in a forthright manner showcasing and representing their quality and success on the water and in the field. Take a walk through the Crestliner with Pro Team Member Jason Durham. Jason Mitchell shares how using a weedless jig like Kalin’s Spot Stalker rigged with a 3.8 inch Kalin’s Sizmic Shad can catch shallow weed walleyes. 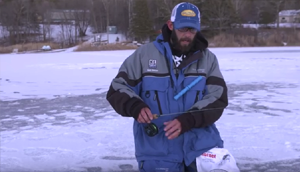 Published on Nov 14, 2016: The Jason Mitchell custom spoon is a walleye catching machine! Flash, Rattle, and a custom feather treble is what makes this ice fishing spoon special. 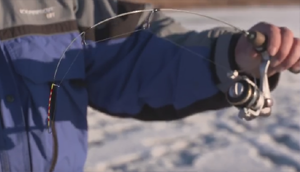 Are you sick of line twist when you are icefishing panfish? 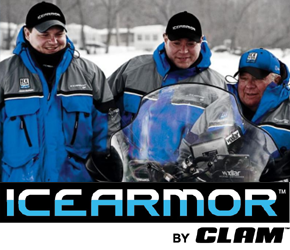 Clam Outdoors Ice Team Pro Matt Breuer explains the advantages of the Clam Outoors Ice Spooler 200 in defeating that very thing.